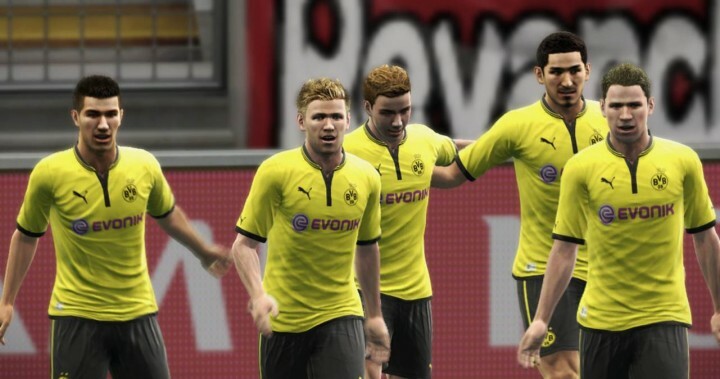 This series of PES tips that will highlight the best ways to score in 7 different situations. The first PES tip is to use controlled shot during 1-on-1 situations. Slow the player down to a dribble, aim towards the direction of the player’s stronger foot, hold R2 and tap the shoot button. For a right footer, aim towards his right (the keeper’s left). Most players will be able to curl the ball lightly past the keeper into goal. Since the player is very close to the keeper, we just need to fill around 1/4 of the power gauge. When you are just outside the box, or a few steps inside the box, take a controlled shot aiming for the far corner. Again, we turn to the direction of the player’s stronger foot, hold R2 and charge up the shot. Power required is around 1/2 to 3/4, depending on the distance. 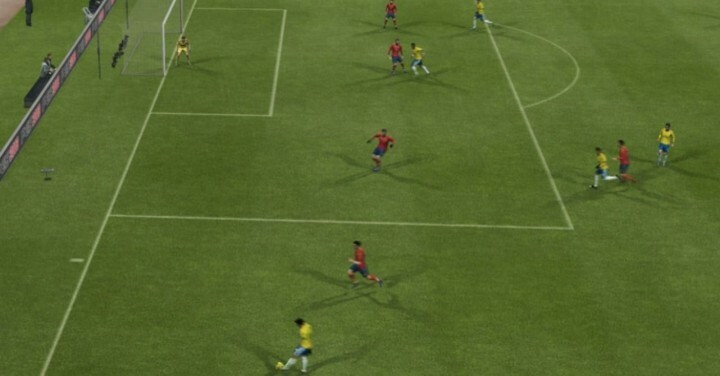 This tip is very useful in PES 2013 as the controlled shot is rather ‘overpowered’ and highly effective for scoring in PES. Wish to take a long shot? Use the knuckleshot. From way out, press the shoot button, and tap shoot again just as the player is about to strike the ball. An effective tip as goal keepers find it hard to make a save. 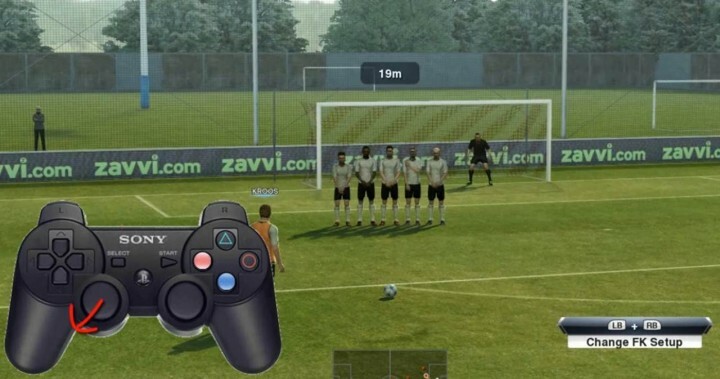 Identify a few players who can execute knuckleshots in PES, and use them to take long range shots from midfield on a regular basis. Cross accurately into the box by ensuring your winger is slightly in front of the striker. The striker will arrive just in time to meet the header. This is a simple tip that can be implemented by any player and any team in PES. Most PES players will probably know this tip by now, but this is still a great way to create goal scoring chances. From the center line, use teammate controls to command the striker to make a forward run, and play a chipped through ball into his path. 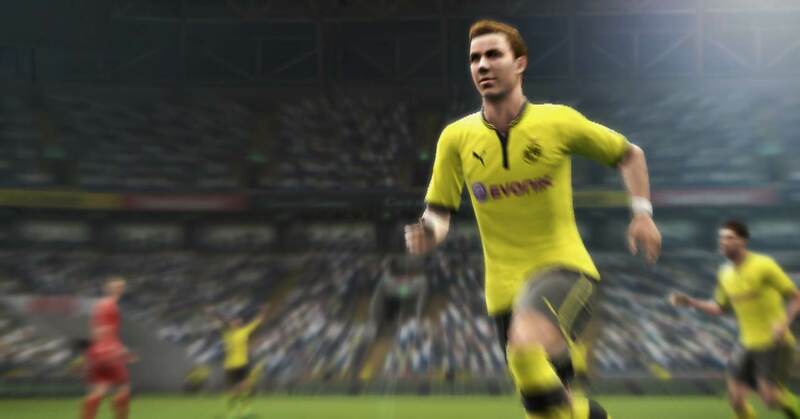 Player runs are triggered by pushing Right Analog Stick in the player’s direction and pressing down the stick. Chipped through pass is executed by L1 + Through Pass. Free kicks less than 25m are considered great goal scoring chances. Choose the best free kick taker, charge up power to slightly less than half, hold X, hold Left Analog Stick Down + Preferred direction of curl. A right footed player usually curls to the left. This is the most effective way to score from short free kicks. A new tip which I just found out. 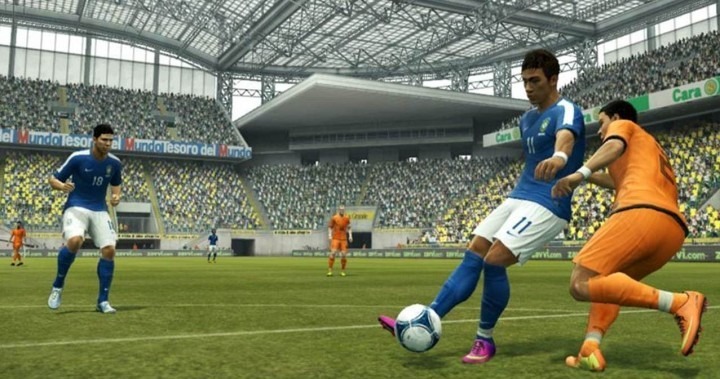 To increase your chances of meeting aerial balls from corner, use the manual shooting option. Once the ball is sent in, hold L2 to activate manual shooting mode and press shoot. For some reason, this makes it easier for your player to win the aerial challenge. And these are the 7 PES Tips which I found to be effective in PES. If you have any other tips, feel free to leave a comment! isn’t it L2 using for the corners. That is actually the standard configuration fpr manual. Am I wrong? Yes you are right, we should be using L2 instead of R2. Sorry for my mistake and thanks for correcting my error. It has been rectified now! Thanks! Klauskleber and Zed Neo you guys are wrong we should be using R2 because it is easier.